Homeowners are always on the lookout for common pests that may sneak into their home. No matter what pest problem you're facing, our trusted team here at A-Action Pest Control has what it takes to keep your home pest-free! Having pests in your home can be stressful, but getting rid of them is a breeze when you choose A-Action for your pest control in Libertyville. When you have a pest problem, our highly-trained Libertyville exterminators will come up with a customized treatment plan to fit the unique needs of your home. 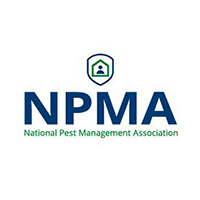 With the best available pest control solutions, friendly and personalized service, and quick response time, you’re sure to see results in no time! Once we arrive on the scene, the pests’ days are numbered, and you can rest easy once again. 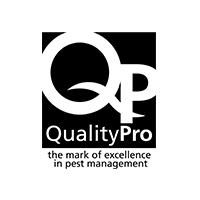 Pest Treatments Starting at Just $95/qtr. Here at A-Action, we believe that providing the best service possible is only possible if our exterminators have the skills, tools, and know-how to do the job right. 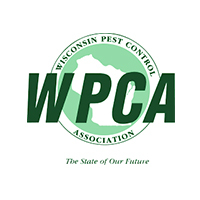 All of our exterminators in Libertyville are expertly trained on the latest pest control solutions and required to maintain a state certification so we can deliver the best possible results for you. You can rest assured that when an A-Action exterminator shows up on your doorstep, your concerns will be listened to and taken care of with the utmost care and respect. With 6 Angie’s List Super Service Awards under our belts, you’re sure to be satisfied with the service you receive from our expert team! Here at A-Action Pest Control, we pride ourselves on being a local business with a history of family ownership. Since 1988, we’ve been helping homeowners in the Libertyville community solve their pest problems while simultaneously forming lasting relationships with our customers. The people we serve are our top priority, which is why we strive to offer a high standard of customer service that keeps customers coming back for all their pest control needs. You Will Love the Results--We Guarantee It! We know that protecting your home from pests is a tall order, but we are up to the challenge. To prove it, we are happy to offer our 100% elimination guarantee. 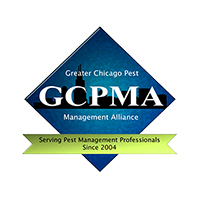 If you find pests in your home after we provide you with pest control in Libertyville, contact us as soon as possible and we will be right back to make it right. That is our commitment to you and to your family! Discovering you have a rodent problem can disturb your peace of mind and leave you feeling uncomfortable in your own home. Not only can rodents chew away at things like electrical wires, they can also spread a variety of diseases and carry pests like fleas and ticks. Because of their habits, rodent infestations can be difficult to eradicate through DIY methods. Thoroughly inspect your home for entry and exit points and create a customized plan that fits your needs. Set up bait stations in affected areas. Schedule a follow-up visit to inspect bait stations and identify problem areas. Seal entry points, eliminate food sources and offer advice for keeping rodents away for the long term. When you partner with A-Action for rodent control in Libertyville, you can always trust that you’re getting the highest standard of service possible. Our friendly exterminators in Libertyville keep you involved throughout the entire process, answering any questions you may have and leaving you with peace of mind. As a locally and family-owned business, we care about our neighbors and will do everything in our power to keep your family and your home safe from rodents. Want to relax this summer without the threat of a painful sting from insects like wasps, bees, hornets, or yellow jackets? A-Action Pest Control is proud to provide stinging insect control in Libertyville so you can enjoy your backyard all summer long! Whether it’s firing up the grill for a backyard barbecue or playing catch with your dog, you deserve a summer of relaxation for you and your family. First, your expert exterminator will inspect your property to identify common nesting areas, like decks, lighting fixtures, and siding. From there, we’ll remove any nests. We’ll then use our effective, one-time Power Spray Treatment to eliminate and prevent stinging insects. When it comes to getting rid of stinging insects, skip the home remedies and call a professional. At A-Action, we have the experience and tools necessary to eliminate these pests safely and effectively. With just one treatment, our Libertyville exterminators will have your backyard ready for sting-free fun once again! When you need stinging insect control in Libertyville, our team has got your back. Because we’re a locally-owned family business, we care about the health and well-being of the families in our community as much as we do our own. When you partner with A-Action for mosquito, flea, and tick control in Libertyville, you can trust that our team will always have your best interests in mind. No one wants to share their home with strangers, especially when those strangers are raccoons, squirrels, bats, and other varieties of wildlife. While you may get a kick out of seeing them in their natural habitat, these creatures are often unwelcome in your home. Your friendly exterminator will perform a thorough inspection of your home to identify entry points and nesting areas. Before we charge you, we may provide other alternatives so you are armed with the knowledge you need. From there, we’ll identify the best course of action to safely and humanely remove the animal and a trap will be set. A follow-up visit will be scheduled to check the trap, remove the wildlife, and re-set the trap if necessary. Your exterminator will seal entry point temporarily, offer advice for permanent sealing, and clean up any damaged or infected areas. 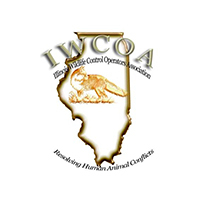 When you partner with us for wildlife control in Libertyville, you can always count on us to be transparent and offer the best course of action, even if that means you have to call someone else. Our top priority is getting the problem taken care of keeping your family safe! During the inspection, one of our expert exterminators in Libertyville will let you know of any possible pest problems they’ve found, so you can get those taken care of proactively. All of our exterminators are state certified, so you can trust that they know exactly what to look for and can provide you with the most accurate report possible. On top of that, we’ve won the Angie’s List Super Service Award 6 years in a row, meaning you’ll not only get a thorough report, but also a high standard of customer service. When you need wood destroying insect reports in Libertyville, A-Action is the smart choice for realtors. Don’t deal with household pests any longer.